Thank you for visiting our site. Please take a minute and browse through our website and read about some of the services we provide. 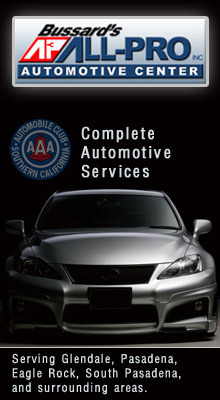 AAA Approved Auto Repair Facility Serving Glendale, Pasadena, Eagle Rock, South Pasadena, and surrounding areas with high quality auto repair services.